Delta is taking on a number of important legal and government challenges facing the airline industry, from a U.S. Department of Justice inquiry into alleged collusion to a proposal to privatize the nation’s Air Traffic Organization. These decisions will likely have a lasting impact on Delta, the industry and its customers. 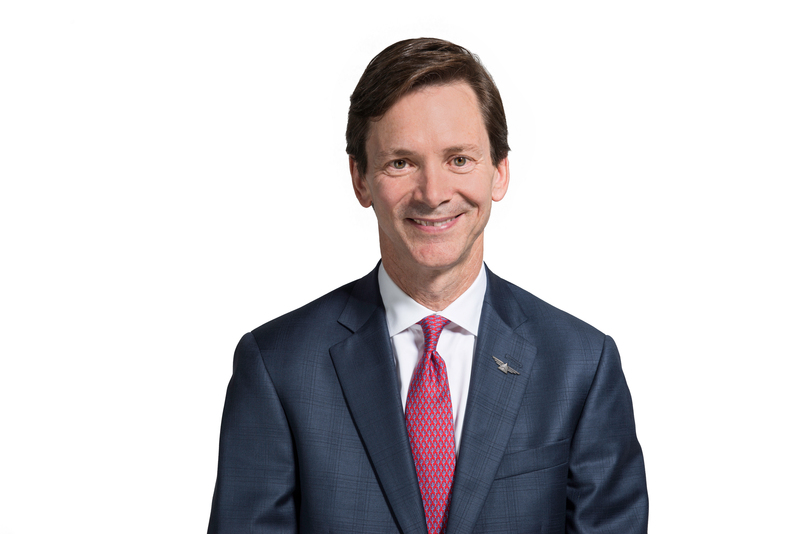 Delta News Hub spoke with Peter Carter, Delta’s Executive Vice President and Chief Legal Officer, for an overview of the year ahead and how Delta has become a powerful voice for change, from the courtroom to Capitol Hill. Carter: Delta and our other Open Skies partners have established that the Gulf carriers have committed the largest trade agreement violation in the history of the United States of America. The governments of the U.A.E. and Qatar are undermining fair competition and threatening American jobs by subsidizing their airlines in the amount of approximately $50 billion. We need a level playing field, and we’re going to insist on that when it comes to airlines subsidized by governments because that gives them a huge advantage over the U.S. carriers. We would applaud and embrace the opportunity to compete with Emirates, Etihad and Qatar Airways if in fact they were operating in accordance with the terms of the Open Skies agreements our governments have entered into, but we can’t live in a world where our entire business model could be undermined as a result of unfair competition. Carter: Delta is leading the opposition to our competitors’ push to privatize the nation’s Air Traffic Organization (ATO). Traffic Organization out from under FAA oversight and into a private entity. The bill’s next stop is a vote in the House of Representatives, but with FAA funding due to expire on March 31, a temporary extension will likely be required until the bill can be voted on in both the House and the Senate. Our opposition has helped stall the legislation in the House, but we must continue to oppose until privatization is dead. It’s hard for me to understand what problem our government is trying to solve, when I’ve seen no data that supports turning the ATO into a private entity would make it more efficient, less expensive or safer. There is simply no evidence that supports such a monumental change. Compared to countries with privatized or separated air traffic control (ATC) systems, like Canada or the U.K., the U.S. currently operates the safest, most efficient and most cost effective ATC system in the world. When you look at the volume of flights that U.S. air traffic control manages, every day without incident, we truly do have the best system. Uprooting the current system would result in organizational disruption, silos between the organizations, unforeseen transition costs, and a loss of experts and institutional knowledge. For the benefit of our customers, we believe the more effective way to achieve a safe, reliable, modern aviation system for our future is for the FAA and the industry to continue working to set priorities and implement beneficial operational capabilities through the NextGen Advisory Committee, a group of industry stakeholders including airlines, airports and manufacturers that work together to provide recommendations to the FAA on how to best implement NextGen technologies. In fact, Delta’s CEO chairs the committee, showing we are 100 percent committed to having the best technology available to keep our aircraft safe. Carter: As soon as an industry turns a corner and begins to generate profits, questions begin to be raised by regulators. Faced with the fact that consolidation was a success and we now have a healthy airline industry, the U.S. Department of Justice has suggested through a civil document request that the way we’ve become successful is by colluding with our competitors. The truth is Delta has built its success through the hard work and dedication of all its employees and their unwavering commitment to our customers. The allegation that our success is due to anything else is not only ridiculous, it is offensive. As a rule, Delta does not answer specific questions about capacity and what we intend to do in the markets we serve or what we might do in response to what a competitor does. While we are cooperating with the government’s inquiry, the simple fact is that Delta has not violated any federal antitrust laws or engaged in any illegal behavior. That’s just not the way we do business at Delta Air Lines. We’ve done an analysis of industry capacity, and it actually shows there are stark differences among the airlines throughout the time period the DOJ suggests collusion was happening. What’s even more surprising is this probe has surfaced at a time when average U.S. domestic fares are down. Carter: In January, a federal judge ruled Delta could keep flying five daily flights to Atlanta using Southwest-controlled gates at Dallas’ Love Field. Southwest Airlines, based in Dallas, currently operates 18 of 20 available gates at the airport. Delta is pleased that the court has confirmed our right to serve Love Field. Southwest has appealed the decision, but Delta expects to prevail when the appellate court hands down their final decision. In the meantime, we look forward to bringing the people of Dallas the benefit of Delta’s industry-leading product and global network at Love Field. Carter: In December, the Export-Import Bank’s (“Ex-Im Bank”) authorization level was reduced and now President Obama must present Congress with a strategy to eliminate export subsidies worldwide over the next 10 years. We’re going to continue to focus our efforts on completely eliminating the Ex-Im Bank or reforming it even further by forcing the bank to honor its original mandate as a “lender of last resort.” A number of reforms have already been imposed as a result of our efforts. We must ensure U.S. airlines and our employees are not harmed by U.S. government subsidies to foreign airlines. Delta’s concerns are specific to the Bank’s continued financing at better-than-market rates of widebody aircraft to airlines that are creditworthy or receive subsidies from their home country. While we don’t believe the reforms contained in this latest reauthorization go far enough, reducing the Bank’s authorization level and requiring the President to craft a strategy to reduce global export subsidies are small steps in the right direction.